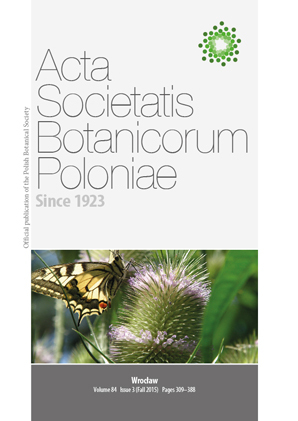 On the cover The swallowtail butterfly (Papilio machaon L.) studying the mysteries of wild teasel inflorescence (Dipsacus fullonum L.). The first one is bijugate phyllotaxis emerging typically from the initial decussate one. The second is bi-directional blooming, which starts from the equatorial area of the inflorescence. The regulatory mechanism of this peculiar behavior remains unknown. This is an Open Access journal, which distributes its content under the terms of the Creative Commons Attribution License, which permits redistribution, commercial and non-commercial, provided that the content is properly cited. The journal is a member of the Committee on Publication Ethics (COPE) and aims to follow the COPE’s principles. The journal publisher is a member of the Open Access Scholarly Publishers Association. The journal content is indexed in Similarity Check, the Crossref initiative to prevent scholarly and professional plagiarism. The journal accepts Rubriq Reports.